The Chase Slate does one thing, and it does it better than any other credit card available today. It offers a 0% balance transfer with no balance transfer fee. After more than three years of paying transfer fees, the free balance transfer is back. The Chase Slate is now the only card offering a 0% APR introductory rate on balance transfers with absolutely no balance transfer fee. And with no annual fee, this is as close to free money as you’ll ever get. The 0% introductory rate lasts for 15 months. No Balance Transfer Fee: $0 Intro balance transfer fee for the first 60 days your account is open. Intro APR: 0% Intro APR for 15 months on purchases and balance transfers. 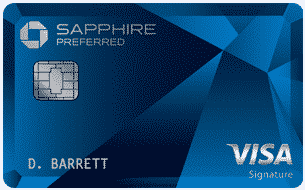 The card offers a 0% introductory rate on balance transfers and purchases for 15 months. Make the balance transfer during the first 60 days and Chase will not charge a balance transfer fee. The Chase Slate offers access to your FICO® score. With the Chase Credit Dashboard, you get your monthly FICO® score online, an explanation of your score, a summary of the information on your credit report, and helpful information on ways to mange your credit. Full Pay: With full pay, you can select the categories of purchases you want to pay in full each month. Chase will then show these purchases separately on your bill, and you can pay them in full even while you carry a balance in other categories of purchases. Split Pay: For larger purchases, you can set up a payment plan, and track your progress month to month. Finish It: If you want to pay off your balance, you can set up a payment plan that will help you eliminate your credit card debt. Track It: The tracking feature allows you to set spending goals by category and track your progress throughout the month. For example, you can set a spending limit for groceries or restaurants, and Blueprint will track your spending throughout the month. It can even send you alerts as you near your spending goal. Zero Liability Protection: You won’t be held responsible for unauthorized charges made with your card or account information. Chip-Enabled Security: Provides an extra layer of security when used in a chip card reader. Purchase Protection: This protection covers your new purchases for 120 days against damage or theft up to $500 per claim and $50,000 per account.